The program of the Conference and Workshops can be found below in 2 and 4 pages. 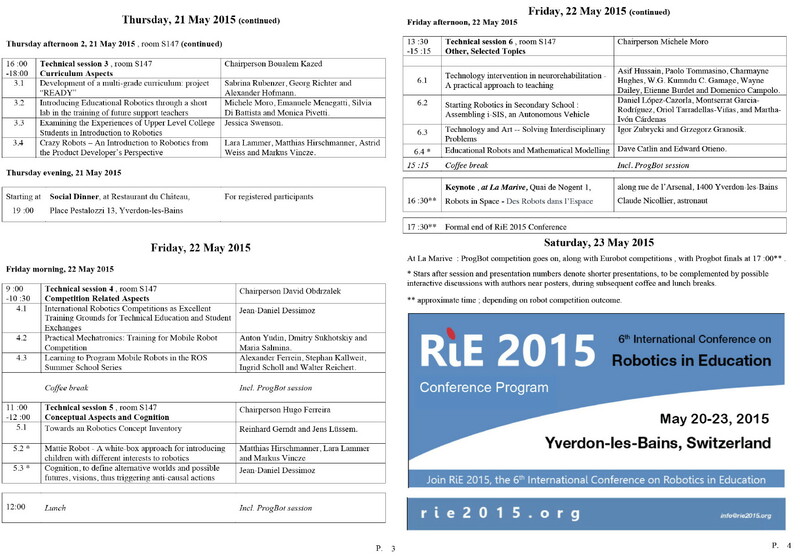 RiE2015 is very international, with participants from about 20 countries officially registered for the Conference and Workshops at Yverdon-les-Bains. To download conference program in 4 pages, pdf format, please click here (v. 18.05.2015). Abstracts can be found at the following address: http://rie2015.populus.org/rub/7. 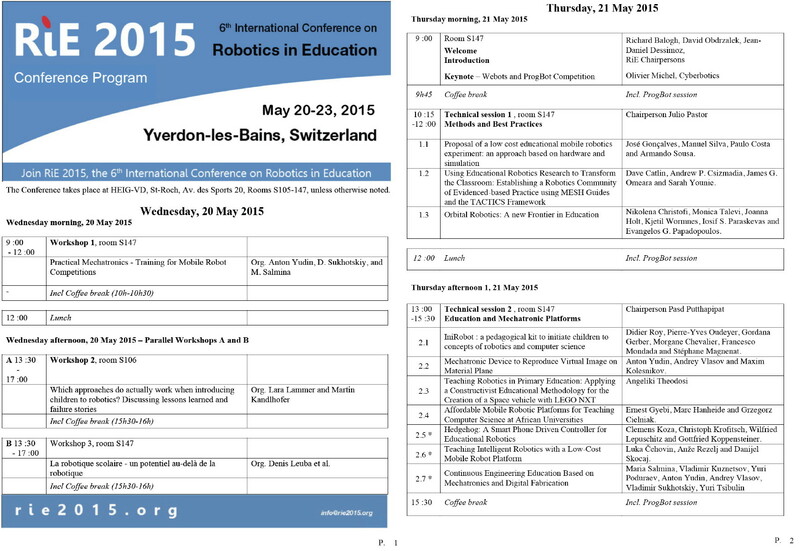 “6th International Conference on Robotics in Education, RiE 2015, HESSO.HEIG-VD, Yverdon-les-Bains, Switzerland, 20-23 May, 2015”.